Deadline for #Tinkercup 2014 Submissions Extended! There have been some really great submissions for our first ever, online-3D-modeling-penguin-soccer tournament – the TinkerCup!! We’ve been so amped watching the matches at Pier 9, that we’ve decided to extend the deadline for submissions through the Round of 16. Now you have until July 2 – at that point, there will be 8 teams advancing to the Quarter-Finals and the real fun begins. The rules stay the same, so basically, if you make a model of one of the advancing countries, you’re almost guaranteed a Tinkercad Button! Email us at team@tinkercad.com if you have any questions and Tinker Away! 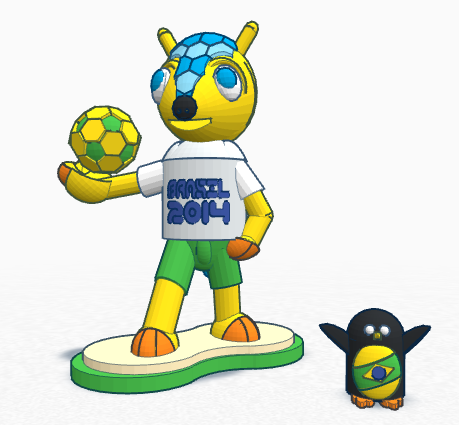 Next World Cup Wednesday: Penguins in 3D!